ATSI (Anatomy Trains Structural Integration) is a therapy that works on the body’s connective tissue, or fascia, to improve postural alignment and breathing, and allow easier movement. Fascia covers and connects all the muscles in the body, and ultimately gives the body its shape. Over time as stresses, injuries and strains affect the body, the fascia reacts to provide more support where needed, getting thicker and gluing itself to surrounding structures. The silhouettes of photos on the right show how over the course of twelve sessions the fascia can be loosened and the body re-aligned. If, at the beginning of the series, I had simply asked this person to stand straighter, they would have tried but it may have looked and felt awkward, as they fought against their own stuck tissue. After the series of sessions, standing in better alignment is effortless, and not something that needs to be forced. By systematically covering the whole body, structural integration is often able to solve chronic musculoskeletal problems where other treatments have failed. Pain in one area of the body may be caused by imbalances elsewhere, perhaps far from where the pain is felt. Fascia creates the structure of the body, and addressing its restrictions is often the quickest way to change long-held patterns of posture and movement. ATSI can also have an effect on sporting performance. One of its goals is to free restrictions in the rib cage and allow a greater depth of breathing. This allows more oxygen to be taken into the body and transported to the muscles. ATSI eases restrictions across joints and helps to re-align movement patterns. With fewer restrictions in the body, less energy is required to move the limbs, so more economical movement patterns can be used to generate greater power and endurance. ATSI is usually performed as a series of twelve sessions, each targeting a different area of the body. The first four sessions work on the more superficial tissues, the next four move deeper, and the final four are focused on re-integrating movement into the loosened body. As every body is different, every session will vary according to the areas that need most emphasis. The treatment eases restrictions in the fascia, restoring balance across joints and ultimately aligning the body in gravity. By the end of the series you should feel that your body is able to move with less effort and greater fluidity, that you are more aware of your body and you know how to make small adjustments which have a large effect on your comfort in sitting and standing. It is designed as a series of treatments with an end point, a project to change your body permanently. Fascia that has been lengthened remains that way for several months, and with a new level of body awareness it should be possible to maintain the changes over a lifetime. If the twelve session series is not an option, a three session series can help and can create significant changes, or the techniques can be used in a single session to address a specific issue. Each session begins with assessment of the body, in standing and in movement. The treatment involves active participation, creating movement as the practitioner glides along the fascia, in a variety of positions - lying, sitting, standing and moving. It should create a feeling of satisfying tissue release, sometimes described as a melting feeling. It is a process for you to become involved with, rather than something that is done to you. The more that you can engage with your body, the better will be the results. As each body presents its own individual pattern, ATSI affects people in a variety of ways. In most there are noticeable physical changes; in others the changes are felt by the recipient but are less obvious to observe. 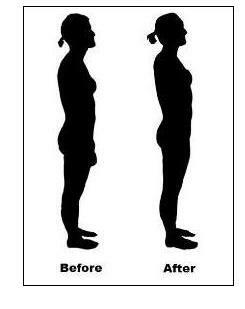 There are often energetic changes, such as increased alertness, and potentially emotional changes, given that posture is often linked to emotional well-being. The type of structural integration practised here is Antamony Trains Structural Integration, formerly called Kinesis Myofascial Integration (KMI), as developed by Tom Myers. It is based on his Anatomy Trains concept, in which he has identified a series of lines of fascia that link muscles. These are tensional lines and help to identify how stability and strain are transmitted from one area of the body to another. The techniques of ATSI are based on the work of Dr. Ida Rolf, the originator of structural integration.